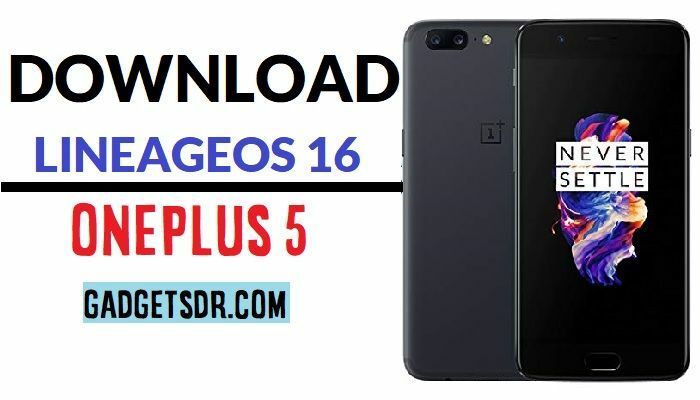 Hey there if you are an owner of OnePlus 5, so here we have good news for you, today we share with you latest guide to Install LineageOS 16 OnePlus 5 if your OnePlus 5 does not get official update of latest Android, so follow this article here we are trying to explain to how to Install LineageOS 16 OnePlus 5 -Android 9.0 Pie here. We all know Android is an Open Source Project, so any developers of the world can modify the OS. so here those developers develop the LineageOS 16 custom Rom, and here we share with you how you can replace the pre-installed version of your Android in OnePlus 5. OnePlus 5 was released in 2017, The phone is powered by Qualcomm Snapdragon 835, and it comes with 2 variations, one is 6GB of RAM, and 8GB of RAM, and also 64GB of ROM and 128GB of ROM storages, OnePlus 5 comes with 16+20mp of primary camera and 20mp of front camera, and also powered by 3320mah of non-removable battery. Custom ROM is a version of Modified Stock ROM which is developed by some crazy professional Android developers, Custom ROM has completely modified the system and UI of your OnePlus 5, with adding some more features, such as latest version Android 9.0 pie, and improved battery performance, improve system stability, added some cool features also added some system tweaks, eliminate bloatware and faster the performance. and also available for the latest versions of Android 9.0 pie on your OnePlus 5. Lineage OS is AOSP based, Android Custom Rom for Android, and LineageOS 16 is a custom based ROM and but it offers the maximum stable and secure version and also LineageOS is developed by some crazy Android developers. LineageOS 16 custom ROMs looks like Google Pixel OS. and if you this Custom ROM to your OnePlus 5, then you can experience the Google Pixel phone OS to your OnePlus 5. Make sure your battery has 70-80% of charge. Available 3GB of ROM Storage space in your device. Before you try this process to your device make sure you have the pre-installed custom recovery like TWRP, CWM. Download LineageOS 16 for OnePlus 5. Also, Download the Android Pie GApps for OnePlus 5. -Then copy the downloaded files to a good “MicroSD” card. -After that, Power off your OnePlus 5. Press and hold the (Volume Down+ Power) key, until the “Boot” menu appears on your device. Use Volume up & down buttons to navigate the list, then choose there “Recovery Mode”. After that, tap the power key to confirm the “Recovery” menu. -Now boots your device in “TWRP Recovery” menu. -After that, tap on the “Wipe” option from the top right corner. -Then select the “Advanced Wipe” option and swipe to confirm wipe your system and data. -Once wipe finished, then you have just two steps away from Install LineageOS 16 OnePlus 5. -After that, back to the “TWRP” recovery menu. -Then tap on the “Install” button. -After that, Choose the “lineageOS 16” from the “ext-microSD” card. -Now, swipe to confirm installation of LineageOS 16 on OnePlus 5. -Wait for finish installation of Lineage OS 16. -Once finished, back to “TWRP” menu again. -Then choose the “GApps” from the “ext-microSD” card. -Now, swipe to confirm installation of GApps on OnePlus 5. -Wait for finish installation of Android pie 9.0 GApps. -Again back to the main “TWRP” menu. -Then tap on the “Reboot” tab then select “system” from there. Thanks for visiting us, Comment below if you face any problem With Install LineageOS 16 OnePlus 5, we will try to solve your problem as soon as possible. you can check other some tutorial here to help you.